The Navy considers the actions of Chinese warships that warned two U.S. Navy ships away from the Paracel Islands over the weekend to have maneuvered in a "safe but unprofessional" manner. That assessment means the ships maneuvered erratically but not in a way that posed a risk of collision, CBS News' national security correspondent David Martin reports. China said it dispatched warships to identify and warn off a pair of U.S. Navy vessels sailing near one of its island claims in the South China Sea. 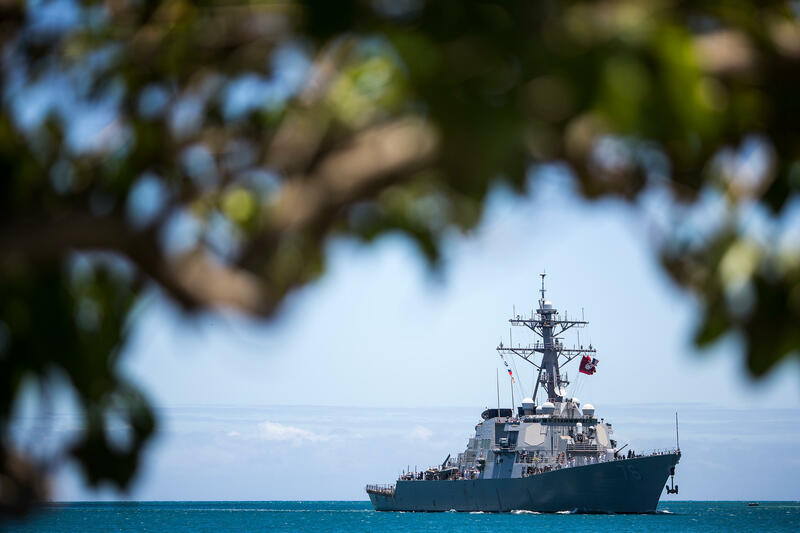 A statement on the Defense Ministry's website said the Arleigh Burke class guided-missile destroyer USS Higgins, and Ticonderoga class guided-missile cruiser USS Antietam, entered waters in the Paracel Islands "without the permission of the Chinese government." It said the Chinese military "immediately dispatched warships to identify and inspect the American ships according to law, and warned them to depart." China earlier this month landed bomber aircraft capable of carrying nuclear weapons on its main base at Woody Island in the Paracels. The U.S. military does not comment on the specifics of what it calls "freedom of navigation" exercises meant to assert the Navy's right to sail and operate in any zone deemed legal under international law.